How to solve the pollution caused by waste plastic in a green and profitable way? The best method to handle the waste is to turn waste into wealth and recycle the resources. Therefore, plastic recycling is a key component to waste reduction. 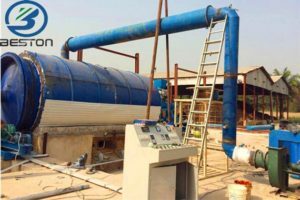 Based on this idea, Beston machinery has invented the waste plastic pyrolysis plant for sale that can recycle waste for utilization and turn waste into wealth for making money. 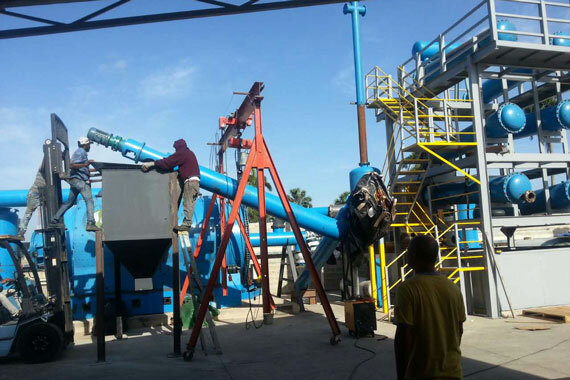 The waste plastic pyrolysis unit takes advantages of pyrolysis technology, which can make waste plastic melt in the high temperature and high pressure with vacuum. Through the advanced pyrolysis reaction, the various plastic waste materials can be converted into useful resources, including fuel oil, carbon black, etc. 1. Fuel oil: the fuel oil is the first production and has immeasurable value. You know that oil is nonrenewable resource and deficient energy. The fuel oil can be further reprocessed into diesel and gasoline by Beston oil distillation plant. It also can be used as industrial fuel materials for burning. 2. Carbon black: the carbon black is the necessary production and has wide applications. We can sell it directly for making money. 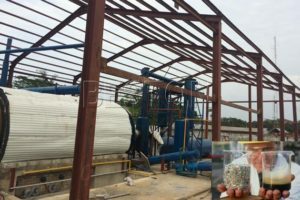 It can be made carbon brick by briquetting equipment for building or reprocessed into high quality carbon by carbon brick processing plant for burning or sale. In a word, they are popular and valuable in the current market. 3. Combustible gas: the combustible gas is additional worth. It is the source of energy-saving and energy-creating. It is produced from the reactor and also is used to heat the reactor as heating materials. At the same time, it speeds the reaction of raw materials and increases the generation of products. All of the end-products are useful resources and have a wide range of applications. They are in high demand and fetch good prices in the market, which will surely bring great benefits for you and can make plastic recycling plant cost back soon. Especially, for the fuel oil, it can also help to relieve the crisis of energy. Hydroseal and vacuum system will prevent exhaust gas from going back to the condensers and reactor. Thus, unnecessary accident can be avoided. 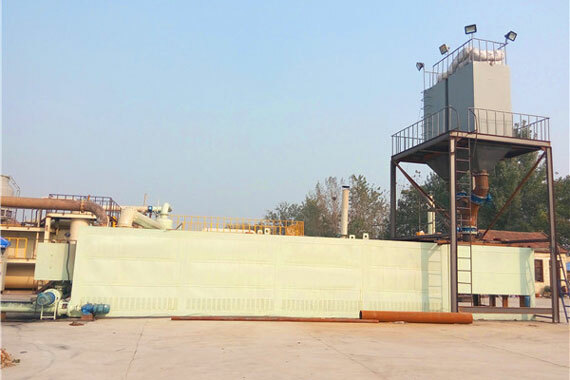 In addition, the pyrolysis of plastic waste plant is equipped with safety devices (alarm for over temperature and pressure, auto pressure releasing system, extra gas recycling system, fire fighting devices), which can avoid danger in the process of plastic pyrolysis and guarantee the safety of all procedures and workers. 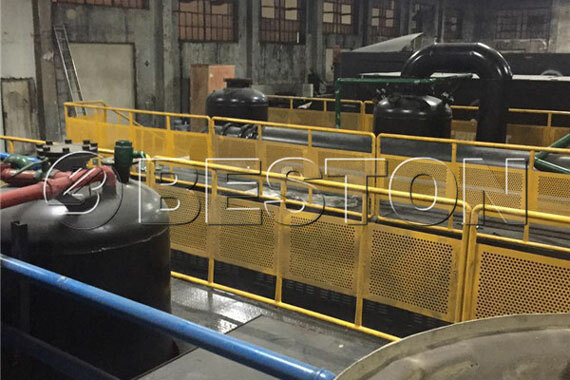 The reactor of continuous waste plastic pyrolysis plant works in all processes and feeding while discharging, which greatly improves the efficiency of working. The combustible gas in the reactor can be reused to heat the reactor, so this step can evenly burn the gas to save energy and increase the output by 5%. We also have another method to heighten the outcomes in a short time, and it is the special catalyst that can accelerate the speed of reaction like chemical materials. Thus, it can increase the output by 15%. Firstly, there is a little combustible gas generating in the pyrolysis process, and the gas can be recycled to heat the reactor as fuel, which will avoid gas contamination and save energy. Secondly, we have the dedusting system, and three steps are used to dedust the hot smoke and dust from reactor, thus more than 95% of the dust would be removed. 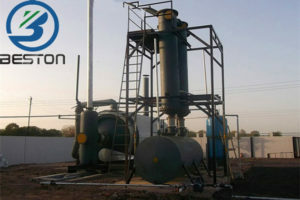 The released gas is pollution-free and can be discharged in the air directly. 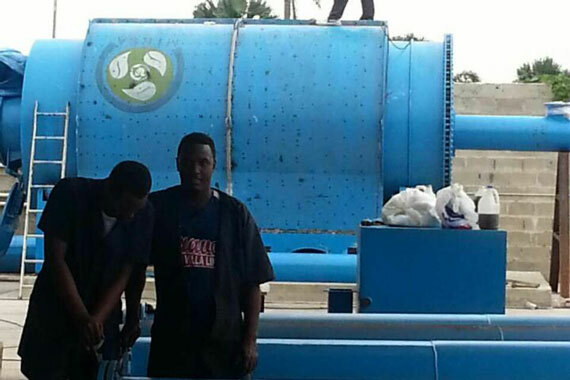 All the pyrolysis plants have passed the CE, ISO, SGS certifications and have long guarantee. They adopt the technology of automatic submerged arc welding and ultrasonic nondestructive testing. All the plants apply the materials of high anti-temperature and anti-corrosion. 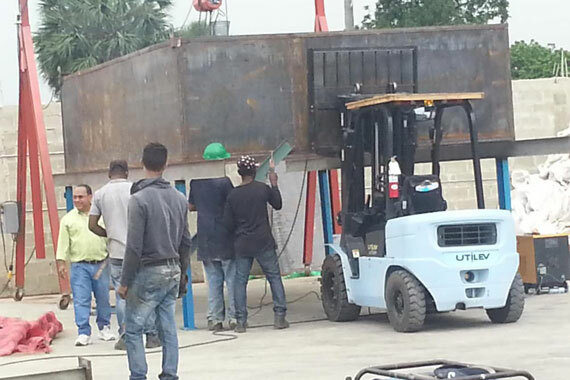 For each of our plastic pyrolysis unit for sale, we have professional technicians and engineers who are available to answer your questions and solve your problems about the plant at any time. We also have special sales to give you professional suggestions. 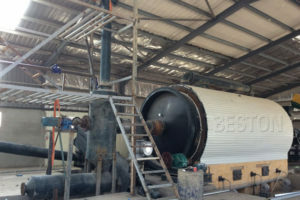 Based on the features of high safety, output and quality, reasonable price and excellent after-sales service, Beston pyrolysis plants have won a universal reputation in the international market and have been exported to more than 20 foreign countries, such as Jordan. Korea, Brazil, Dominica, Turkey, Indonesia, Hungary, etc. You can call us for knowing more.